The Iowa Watershed Approach: We’re all in! This presentation will focus on the IWA Flood Mitigation Program and its efforts to make communities more resilient to floods. Key objectives include demonstrating the use of interactive maps and tools for flood management, highlighting the progress towards flood mitigation planning efforts, and modernizing resources to support education and communication about flood risk to communities with a strong emphasis on how important it is to engage partnerships and local communities to have an effective program. 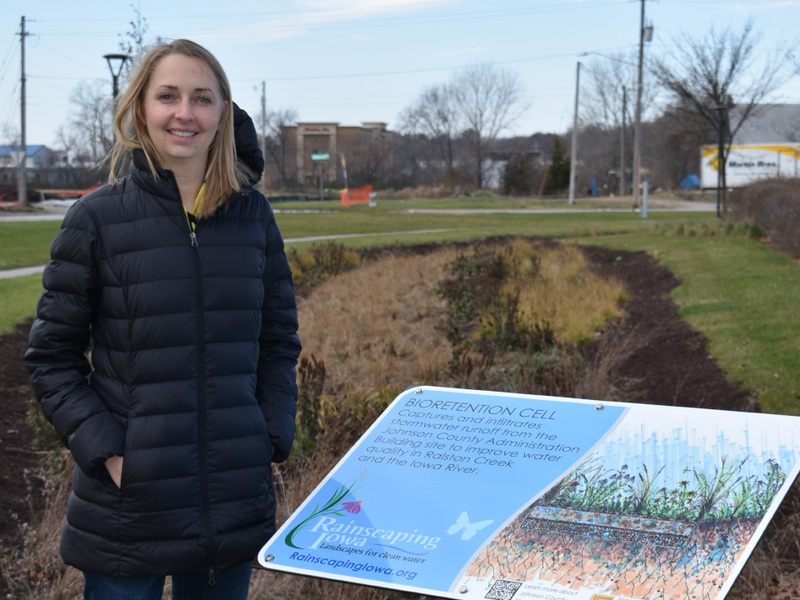 Kate Giannini (Ja-Knee-Knee) joined the Iowa Flood Center team in 2017 and leads outreach, communication, and research activities for the Iowa Watershed Approach at the Iowa Flood Center and serves as liaison between IIHR researchers, IWA partners, and external stakeholders. Prior to stepping into this role in 2017, Kate gained valuable “boots on the ground” experience by working with landowners, public and private agencies for nearly ten years for the Johnson County Planning, Development and Sustainability Department in partnership with the Johnson County Soil & Water Conservation District. Kate also serves as a Soil Commissioner in Washington County since 2013. Partners of Scott County Watersheds Forum will be held Tuesday, September 18th, 2018 at 12pm at the Eastern Avenue Library, 6000 Eastern Ave, Davenport, IA 52807.